Angela Kay Young, 52, of Piqua, passed away Friday, April 6, 2018, at Miami Valley Hospital, Dayton. She was born April 14, 1965, in Miami County, to John and Barbara (Sampson) Laughman of Covington. Angie will also be missed and remembered by her husband, Duane C. Young of Piqua; seven children, Jon (Sommer) Basye of Covington, Brandon Basye of Covington, Roxanne (Issac) Martinez of Troy, Isaiah Winston, Elijah Laughman, Brandi Young, and Duane Young II, all of Piqua; nine grandchildren; a brother, Scott Laughman of Covington; sisters, Damita (Dan) Hoblit of Covington, Lisa (Steve) Baker of Troy, Susan Alexander of Oak Island, N.C.; and numerous nieces, nephews, relatives and friends. 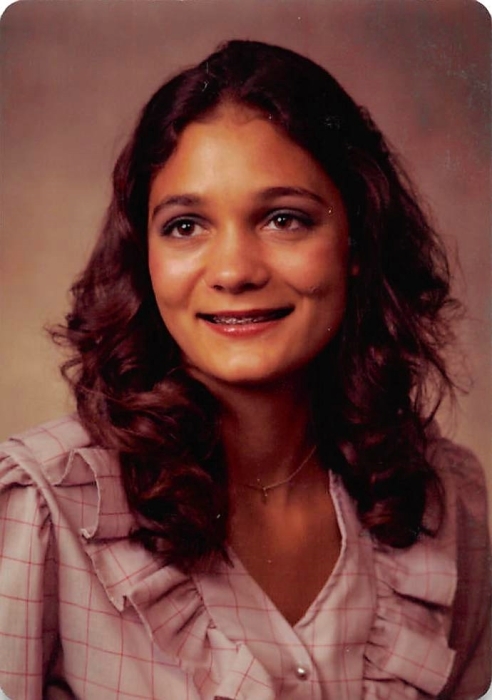 Angie was a 1983 graduate of Covington High School and attended Sinclair College. She attained her Registered Nursing degree and worked as a nurse for many years. She had worked as Director of Nursing at Duke Medical Hospital in Durham, N.C. Angie loved her work and taking care of others. She especially enjoyed caring for her children and grandchildren. She will be truly missed by all those whose lives she touched. Memorial services to honor her life will be held at 7 p.m. Thursday, April 12, at Moore Funeral Home, 10 S. High St., Covington, with Pastor John Shelton officiating. Friends may call from 5-7 p.m. Thursday at the funeral home. Graveside services will be held at 10 a.m. Friday at Highland Cemetery, Covington. Memorial contributions may be made to the Covington Outreach Association, P.O. Box 125, Covington, OH 45318. Online condolences may be left for the family at www.moorefh.com.